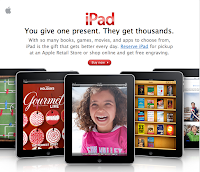 Article first published as Holiday Tech Gadgets Gift Guide — Five Not So Obvious Suggestions on Blogcritics. Everyone wants an iPad . 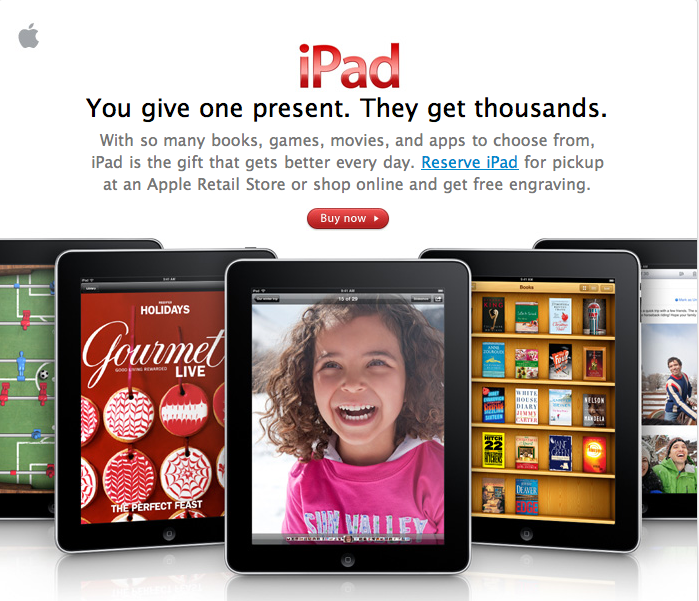 And Apple is not shy about encouraging its "magical device" as a great stocking stuffer. But in case your favorite gadget aficionado already has one, or you're not willing to pony up over $500 on someone you love or just like, I'd like to offer some not so obvious suggestions on what to purchase for your technophile. By "not so obvious", I mean that I'm not going to include your typical digital camera, GPS, Flip Video camera, laptop, netbook, or tablet. Those are all great ideas, but you'll find them on every holiday tech gift list around this time. Instead, I'll focus on a few items that might be flying under the radar, and just might not already be in the hands of your typical gadget geek. The Coolest Pen You'll Ever Buy. The pen may just be mightier than the sword if it's a LiveScribe Pulse or Echo Smartpen pen. These smartpens can record sound while you are taking not es. What differentiates the pen from the classic audio recorder is that the pen automatically matches the inked notes with the specific part of the audio recording using special dot matrix paper. That would be cool enough on its own, but Livescribe takes it one step further by allowing you to upload your notes onto your computer, thus creating a "pencast" of the entire notetaking session. I first learned about these pens from a New York Times Magazine story, and we've been testing them for classroom usage at the high school. However, the pens are not limited to just education, as I can envision a nearly endless range of uses. UPDATE (11/21): Get 15% off a LiveScribe pen through this link. So, you're not interested in a $500 iPad or a $999 MacBook Air? Well, you can still nab some high quality, well designed tech from Cupertino with either the Apple TV or an Airport Express . The former is great for a person who wants access to his or her iTunes library, podcasts, Netflix (subscription needed), YouTube, and other online goodies. As mentioned in an earlier review, I like the design interface and the ease of use of Apple TV. Sure, there's Google TV (more features at a higher price), but Apple still may have a card up its sleeve with a possible expansion of the AirPlay feature set. For someone interested in wireless printing or using AirPlay to stream music to a standard set of stereo speakers, a $99 Airport Express would make a fine gift. With the release of AirPlay on the iPad, iPod Touch, and iPhone, it will be interesting to see if sales of these base stations increases. I'm already looking forward to walking from one room to another and not skipping a beat as I shift the Christmas music playing on my iPad through my Apple TV to the speakers in my bedroom. You didn't really need an iPad anyways. Here's some quick tablet advice: if you can afford to wait (the most hated word of gadget lovers) on your Tablet purchase, I'd suggest pausing until the generation of iPads is released (1st half of 2011) or until the barrage of Android Tablets reveals the best contender for the "Top Tablet" title. In the meantime, you can still enjoy some eReader goodness with a ton of deals on very well established products such as the Amazon Kindle or the Barnes and Noble Nook. Both of these are solid choices, and with the Nook Color being recently released, you can have a closer to the iPad experience with its full color screen. Still, e-ink might be the way to go for those interested in a simple reading experience and prices for both the base Kindle and Nook are under $150. Headphones for all parts of the day. Active: Sony Active Style Headphones - I use these when running or working out. They stay in my ear (at the sacrifice of looking a bit funny, I suppose) and have great sound. There are myriad options, but few are only $10! Listening: I'll let CNET handle the testing for the Best Headphones overall. Although I'm not personally interested in spending that much on headphones, I can recommend a popular budget option in the Sennheiser HD 202's . They're reasonably comfortable and sound quality is above average. Hard to beat for under $25. On the phone: I lost my pair of earbuds with microphone for my iPhone 3G early on, and I was sorely disappointed that Motorola did not include anything with the Droid X. Thus, I've been in the market for a new solution, and I'm zeroing in on the Klipsch Image S2m . Since I haven't personally tried it, take this recommendation with a grain of salt, but for less than $25, the price is right. What will likely turn out to be a huge market, wireless charging supplies such as those produced by PowerMat , will soon occupy the desks of gadget hounds including yours truly. Athough I have not had a hands-on with this gadget, I love the idea and the simplicity that PowerMat has created to enable multiple charging solutions for many of our devices. Unfortunately, reviews have been mixed due to limited wireless compatibility of the devices. Thus, for non-early adopters, this suggestion could be one to put on the wish list for next year when improvements have been made.